Events for an Event Calendar can be sourced using SQL or a Plug-in based on the Data Source selected in the Event Calendar Editor. Any Event can be designated as a Key Event in the source database. 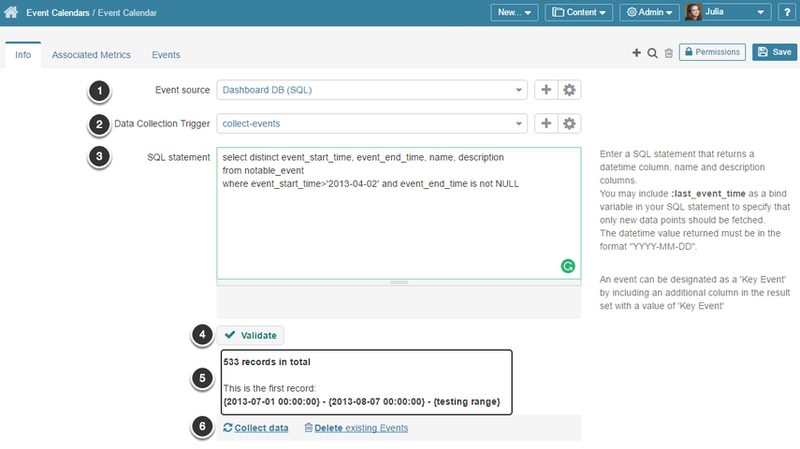 If you need to record Events via manual data entry or upload them as a CSV file, see Source Events Manually. 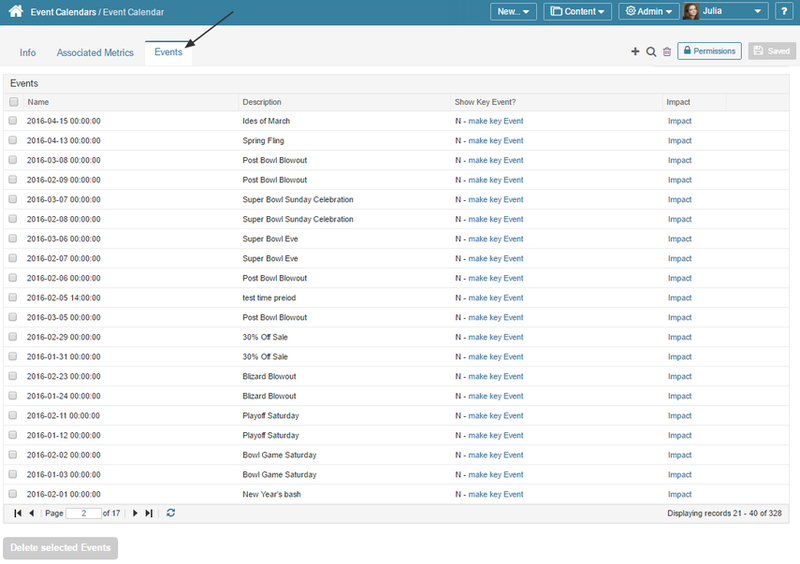 The list of Event Calendars previously created in the system opens. Select a required Event Calendar from the list. Event Source: select the source of the values for this Event Calendar from the drop-down list. For this example we use SQl database. Data Collection Trigger: Choose how often the list of events should be updated. You can create a new Trigger on the go by choosing the Add New Data Collection Trigger option from the bottom of the drop-down list. Validate your SQL Statement: click this button to verify that your SQL statement is valid. If any errors occur, they are explained below the box and the box itself turns red. If validation is successful, the box turns green and sample records are shown below. 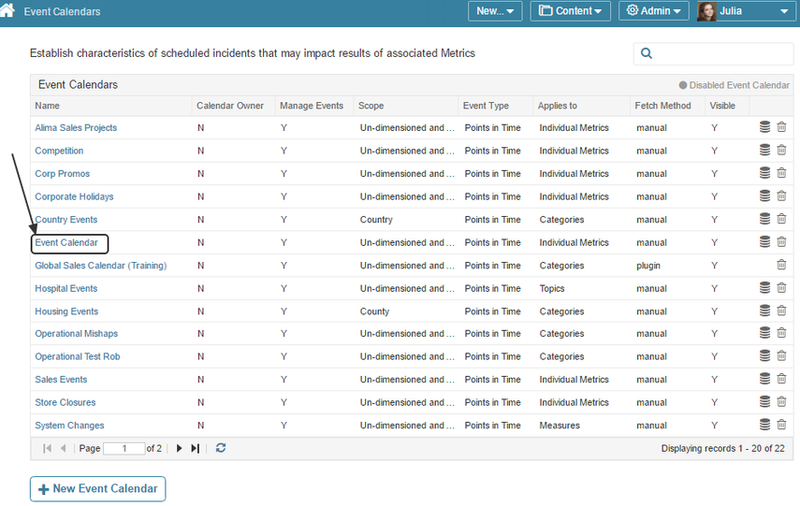 Open the Events tab and review the entities automatically added to the Events table.